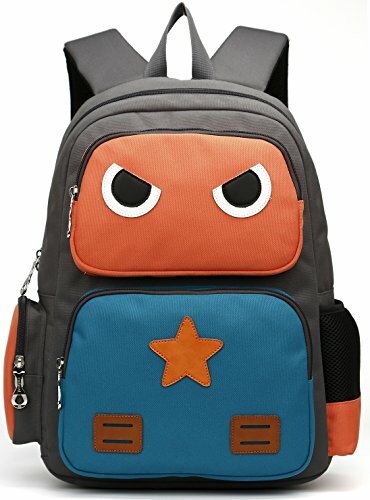 This is the kid backpack where fun meets function. Whimsical details and durable materials make this the perfect on-the-go pack for kids on-the-go. A colorful, whimsical Robot design and practical features make the Pack a favorite of both kids and parents. Perfect for children ages 5 and up, this pack has a roomy main compartment, an insulated pouch for snacks, an adjustable mesh bottle pocket , and a side pocket with zip. The padded shoulder straps are also adjustable, making them comfy for little shoulders. If you have any questions about this product by ArcEnCiel, contact us by completing and submitting the form below. If you are looking for a specif part number, please include it with your message.